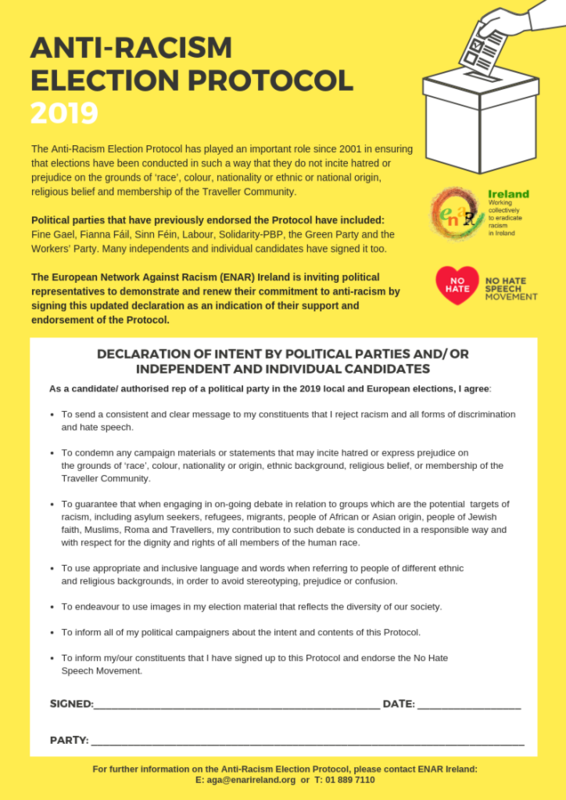 Would you like to organise a local launch of the Anti-racism Election Protocol 2019? 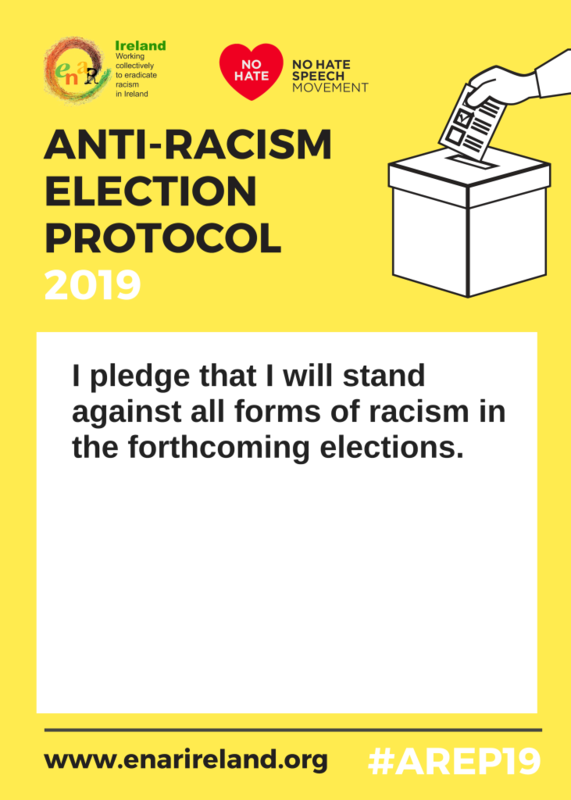 Thank you for visiting this page and your interest in organising a local launch of the Anti-racism Election Protocol 2019. We hope the below information will be helpful in doing so. 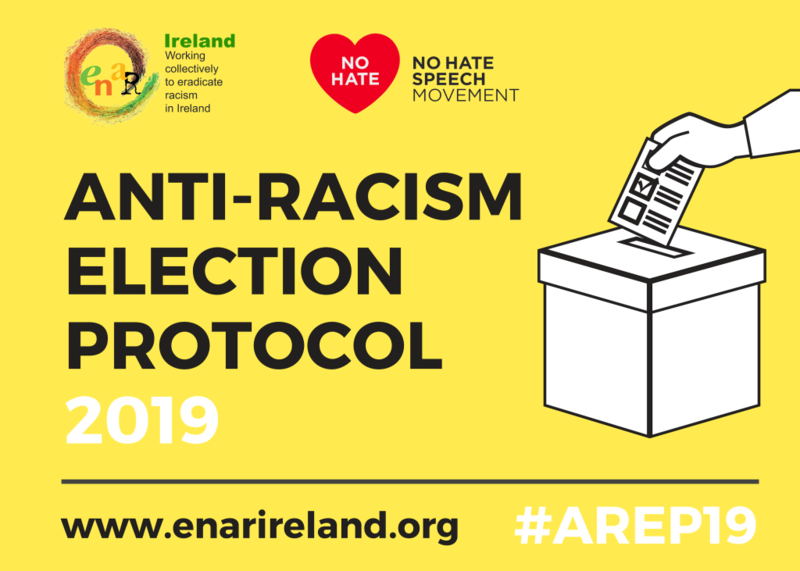 ENAR Ireland welcomes any local initiative in support of the Anti-Racism Election Protocol 2019. However, due to our capacity, we rely on organisations and/or individual candidates to organise it. For example, in Wicklow, it was an initiative of a local candidate and in Galway - Galway Anti Racism Network & Galway Traveller Movement. It’s up to you how and when you organise the event. Get in touch with your local media to get the message across to the local constituents. Remember to take photos to document the event. Post them online using hashtag #AREP19 so we can find those posts. Collect names of all candidates listing their party affiliation, constituency and email address. Email it to support@enarireland.org an electronic format (Word, Excel or written within a body of an email; no scans or pdf please) to make the updating of the list online as smooth as possible. Please note that candidates’ emails will not be published. Send you the designs of the AREP19 for print or you can download them below. After the event, we will update the list of Endorsers with all local candidates who signed up to the protocol at your event. Don’t forget to email us the list of signatories (see above). We hope this helps and thank you for support! Please do not hesitate to contact us at support@enarireland.org if you have any other questions. 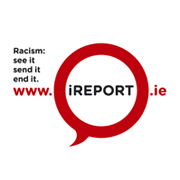 The national launch of the AREP 19 took place on the 21st of March in Dublin. Below are some branded resources for you to download, print and use during the launch.